structure of the school, supported a new generation of Executive Education programs, attracted a renewed community of allies and donors, while sustaining INCAE’s commitment to the Central American integration process with a regional and global perspective. He also led INCAE’s involvement in the development of leaders for the public sector, the promotion of greater participation of women in top leadership and the adoption of the MBA Oath, a compendium of ethical principles for business leaders. From INCAE and CLACDS, Dr. Condo and his teams have worked with private and public leaders to strengthen competitive clusters and promote sustainable development. 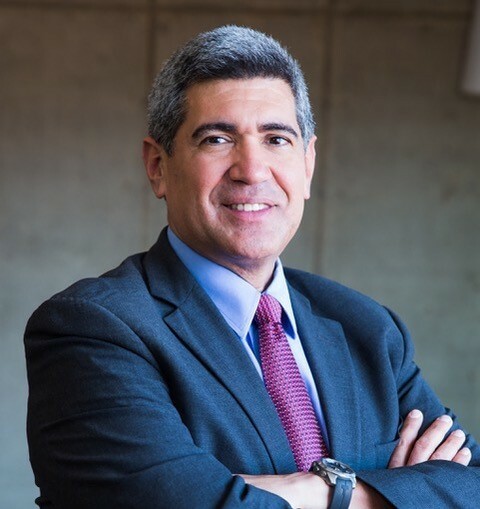 He is a founding member of the Central American Private Sector Initiative (CAPSI), a group of regional leaders focused on improving the lives of Central Americans through regional action. In 2006, he was named to the Inaugural Class of the Central American Leadership Initiative (CALI), an Aspen Institute Fellowship. In 2007, the World Economic Forum (WEF) recognized him as a Young Global Leader (YGL), an honor bestowed to “recognize and acknowledge the most extraordinary leaders of the world under the age of 40”. As part of the YGL community, he was co-founder of the YGL Business Oath and later a founding member of the Advisory Board of the Global Business Oath Project, both projects that aspire to change ethical behavior of business leaders around the world. Dr. Condo became a key supporter for the creation of INCAE’s MBA Oath Club in 2011, which seeks to create awareness in the minds of INCAE students and graduates about the importance of personal ethics and sustainability values in the business world. His work also focuses on gender equality, having founded INCAE’s Center for Women’s Leadership. As part of the World Economic Forum, he is a member of the Latin American Competitiveness Lab and the Global Agenda Council on the Future of Jobs, and since 2015 is a Member of the Inter- American Dialogue. Dr. Condo is passionate about education as well as Latin America’s increasing role in the world. He is a strong believer in the power of youth to change the world. He is the Founding Curator of the San Jose Hub of the Global Shapers Community, part of the World Economic Forum. He lives in Costa Rica, is married and has three children. The true goal of education is the transformation of the human being. It is never too early or too late to develop.